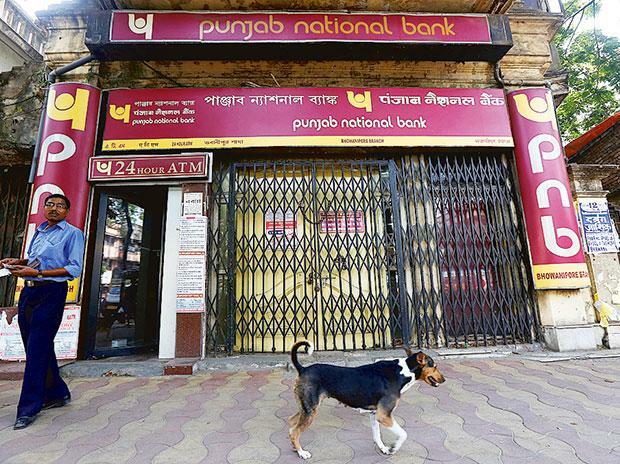 PNB share prices fell around 7% in the early trade on Wednesday morning after the bank reported fraudulent transactions worth $1.77 billion to Bombay Stock Exchange. “The bank has detected some fraudulent and unauthorised transactions (messages) in one of its branch in Mumbai for the benefit of a few select account holders with their apparent connivance. Based on these transactions other banks appear to have advanced money to these customers abroad,” Delhi-based public sector bank said in its BSE filing. The bank said that the transactions are contingent in nature and liability arising out of these on the bank will be decided based on the law and genuineness of underlying transactions. “The matter was already referred to law enforcement agencies to examine and book the culprits as per law of the land. The bank is committed to clean and transparent banking,” PNB said. On February 5, the PNB had said in a statement that its preliminary investigations showed that it had come across suspected fraud amounting to Rs 2.8 billion. “Punjab National Bank has come across certain fraudulent Letter of Undertakings issued by two of its employees namely Gokulnath Shetty and Manoj Hanument Kharat at Brady House Branch Mumbai in connivance with firm belonging to Nirav Modi, Nishal Modi, Ami Nirav Modi and Mehul Chinubhai Choksi partners of M/S Diamond R US, M/S Solar Exports and M/S Stellar Diamond,” the bank had said in a statement. The bank immediately referred the case to Central Bureau of Investigation. “On unearthing these fraudulent activities, the bank rejected the request for roll-over and decided to inform the regulator and CBI for investigation,” the bank had said. Acting on the complaint, the CBI filed an FIR against businessmen Nirav Modi, his wife Ami, his brother Nishal and Mehul Choksi. “The public servants committed abuse of official position to cause pecuniary advantage to Diamond R US, Solar Exports, Stellar Diamonds and wrongful loss of Rs 2.8 billion to Punjab National Bank during 2017,” the FIR by CBI has alleged. The CBI registered the FIR under the Indian Penal Code (IPC) sections related to criminal conspiracy, cheating and provisions of Prevention of Corruption Act against the four. The firms, however, contested this saying that they availed this facility in the past also, the complaint, now a part of the FIR, has alleged. However, branch records did not reveal details of any such facility granted to the said firm, it said. Mehul Choksi had said in a statement said he retired from Diamond R US as partner in 1999.